Are you looking for a peaceful place where you and your friends or family can spend time together, engage in your favorite hobby or just spend a relaxing time? 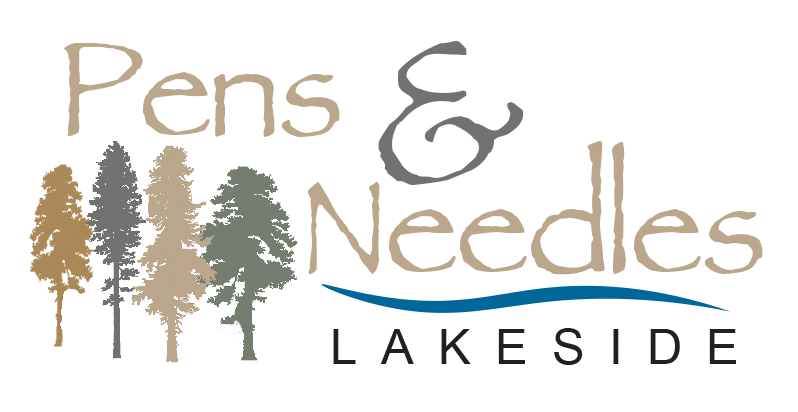 Pens & Needles Lakeside is the perfect location! 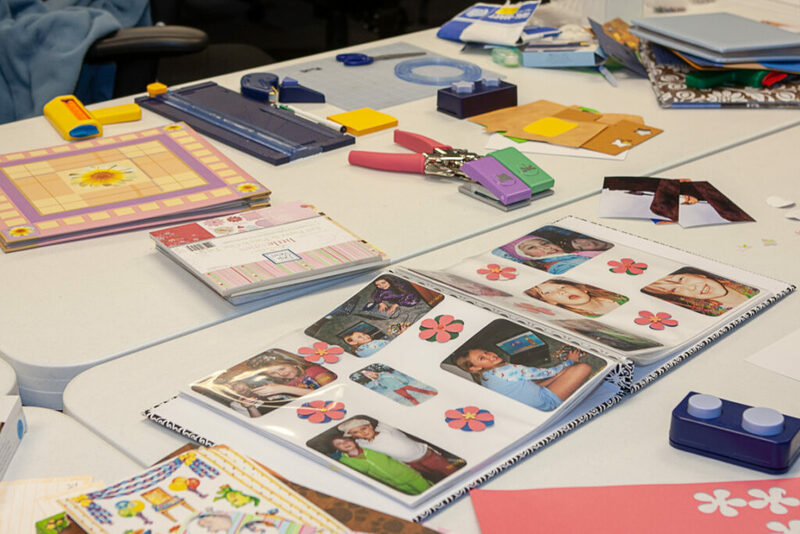 Our facility is ideal for hobbies like scrapbooking, quilting, and sewing to name a few. It is also the perfect place for a family vacation, business meetings, and other social gatherings. Pens & Needles Lakeside was created in 2006 by a person who loves to scrapbook. 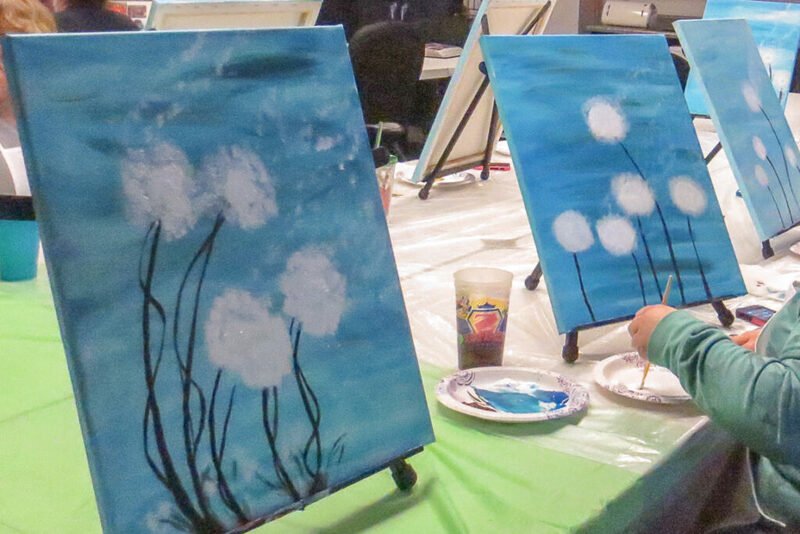 She dreamed of creating a place to share the enthusiasm she has for her hobby with others. Turning her dream into a reality, she has created the perfect place for others to gather with their friends and family to have a fun time engaging in their hobbies and relaxing. Our twin-home log house provides a home-style atmosphere that can accommodate 6 - 20 guests. Each unit features the amenities of a modern home including a full kitchen with all of the utensils necessary to prepare and serve meals, comfortable furnishings, wireless internet, cable TV, a large studio/meeting room, and much more. 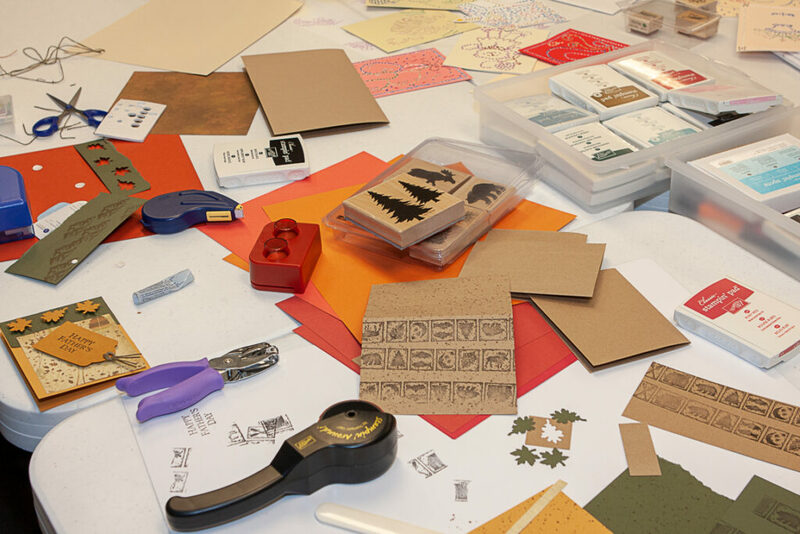 During the year we offer specialty events like open scrapbooking, card making or painting parties. If you have questions or would like to schedule a tour, please fill out your contact information below. Let us know a little about your needs and we will reach out to you as soon as possible.